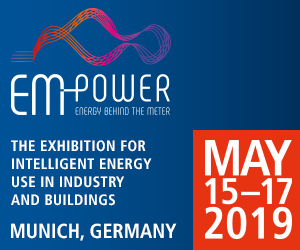 EM-Power is the exhibition for intelligent energy use in industry and buildings. It is the first exhibition in Germany to focus on professional energy customers and prosumers, presenting solutions for the efficient generation of electricity, heat and cooling power, energy management systems and building automation. EM-Power will take place together with the energy exhibitions Intersolar Europe, ees Europe and Power2Drive Europe, which are all held under the umbrella of the innovation hub The smarter E Europe.